This new Product named 3-Ply ABS gravoply is constructed with 3 layers to be forward engraved from top side while with 3 different colors for all the interior signs. By engraving to .002" to expose the second core, engraving to 0.012" to expose the third core, your letters or graphics will be visual in front of people’s eyes with both glossy and matte finishing. As you know the ABS Panel enjoying a good ability of coloring, while also very easy to show the color fading if raw materials stock in the warehouse with a high temperature for too long time,or you expose the signs under the sunshine and rains,so keep it as interior using only. 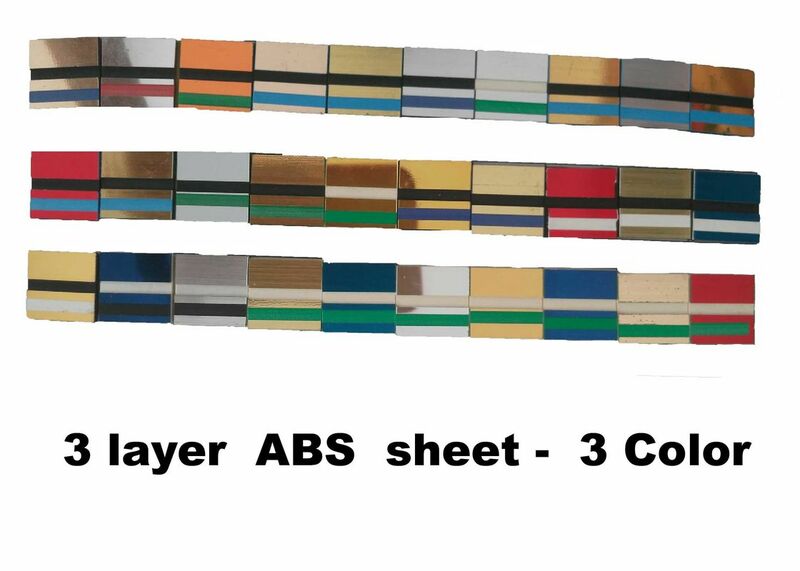 So highly recommend you to take enough buying of this 3 ply ABS panel for quick using is perfect. Your notify combination of which 3 colors is welcomed. 3. Third core is always matte finishing, color right now available is White and Black. 5. Indoor non-illuminated signs making. Colors will be finally confirmed after comparing and testing.